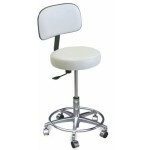 Dina Meri salon furniture and beauty salon equipment offers superior quality and contemporary design to salon owners and designers. 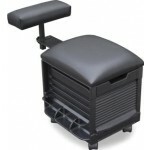 Beauty Salon Equipment offers the complete line of Dina Meri salon equipment to customers nationwide at lowest wholesale prices. 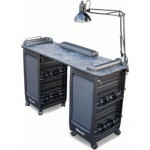 Manicure tables which are stylish, durable, and affordable are proudly manufactured by Dina Meri employees at the 40,000 square foot Dina Meri manufacturing facility in Costa Mesa, California. 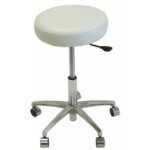 Manicure tables are available in either vented or non-vented models, and are available in many styles and at all price points to fit your salon style and budget needs. 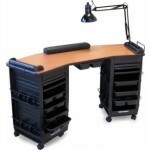 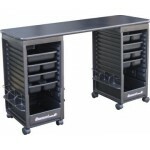 Manicure tables from the Deluxe Line, the Laminated Line, the Economy Line, and the Portable Line are all mounted on heavy duty casters for easy mobility, offering not only style and beauty, but also the design flexibility few manicure tables offer. 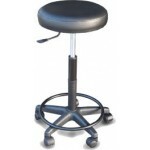 Salon furniture such as the innovative Saddle Line of stools has been designed to allow stylists, manicurists, aestheticians, pedicurists, receptionists, and technicians to work more comfortably for longer periods of time. 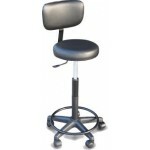 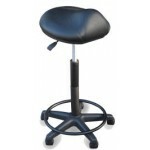 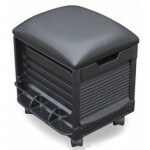 Salon furniture anti-fatigue stools are available in many models which each provide different levels of support. 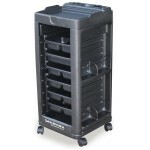 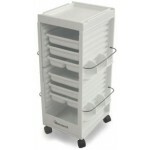 Beauty salon equipment essentials such as Roll-a-Bout salon carts and Color Carts are products no salon can do without. 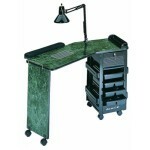 The Dina Meri line of carts offers the durability and functionality of beauty salon equipment other manufacturers offer, paired with Italian design flair. 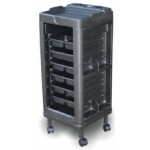 The Venezia, Milano, Picollo, Capri, Nico, Dinamax, Magnum, and Maxi Robot models will all provide years of service and storage beautifully in a salon. 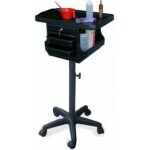 Beauty salon equipment for the stylist on the go from the popular Traveller line allow stylists to offer services to residents and travelers outside the salon. 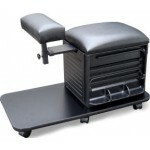 Pampering services ranging from nail treatments, body massages, facials, self-tanning treatments, and hairdressing can easily take place in any residence, hotel room, or office. 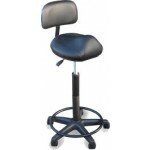 Pedicure chairs for the pedicure technician from the Pedi-Stool line not only feature luxury vinyl padded seats and adjustable footrests for comfort, but also the side pockets and trays to keep all essential tools close at hand. 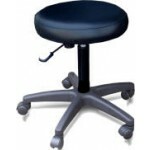 Pedicure chairs for technicians are sturdily constructed in a variety of styles, and all are mounted on sturdy casters for ease of movement. 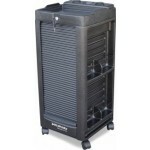 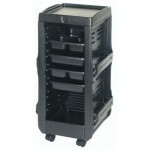 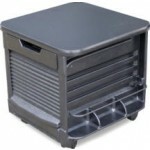 Salon equipment accessories to help the stylist stay organized are a Dina Meri specialty. 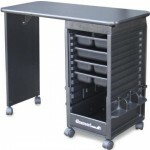 Salon equipment laminated tops and appliance holders are available for many of the Roll-a-Bout models to keep tools where the stylist most needs them. 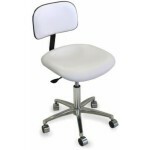 Dina Meri has been in the beauty business for over 44 years, and is a recognized leader in the professional beauty industry. 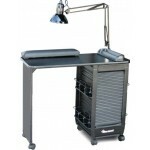 Beauty Salon Equipment is proud to be a top distributor of Dina Meri salon equipment and salon furniture. 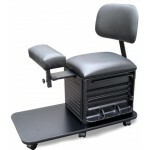 With over 30 years experience in the wholesale beauty industry, the professional staff at Beauty Salon Equipment is available to advise as to which Dina Meri items may best suit your salon’s unique needs.